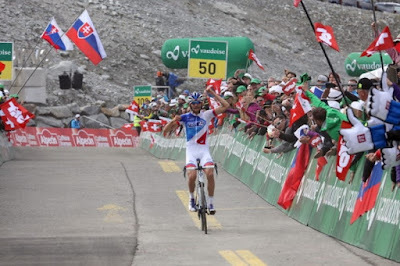 Subiendo como una moto: Pinot pulverizes the Rettenbachferner record! Pinot pulverizes the Rettenbachferner record! Pinot is a better climber than Levi or David Lopez...it would be interesting to know the wind of every year becouse is an open climb. The Bettex under Froome siege!